I have never really been one for make up, it all confuses me, what with all the powders, creams, brushes ect... So with that being said, I think it's given that I don't really know how to use any of it. I can do the basics, such as mascara, eyeliner, foundation, but when it comes to anything a little more complicated than that, I get so confused! In theory it sounds relativity easy, almost like painting, only it's not. It's not easy, and it's not like painting, it's a skill most girls should be able to do, only this girl can't. 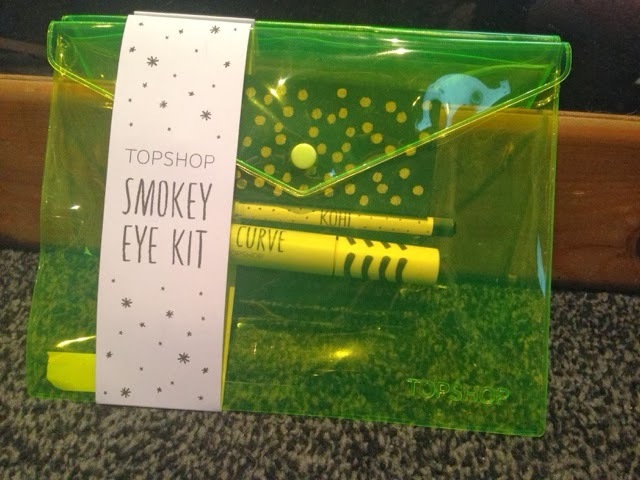 I asked my mum to get me this lovely little smokey eye kit for Christmas, and it really amazing, however as I have no idea what to do or where to begin, I decided to put it away until a day where I was more confident to use it. That day turned out to be today, and I promise you now, that I have never been more terrified of using a make up product in my life. I watched a few Youtube videos, and I honestly thought I was doing what they were doing, but apparently not. The kit came with The palette that you can see to the left, mascara, and eyeliner. I'm usually very particular about my mascara, I will only use the Maybelline Colossal eyes, mainly because I like it, and partly because it comes in a yellow tube that looks like a bullet. It's essentially a blast of sunshine. However, I am really impressed with the mascara from the Topshop smokey eye kit, it's just as good, if not better than my usual Maybelline one. 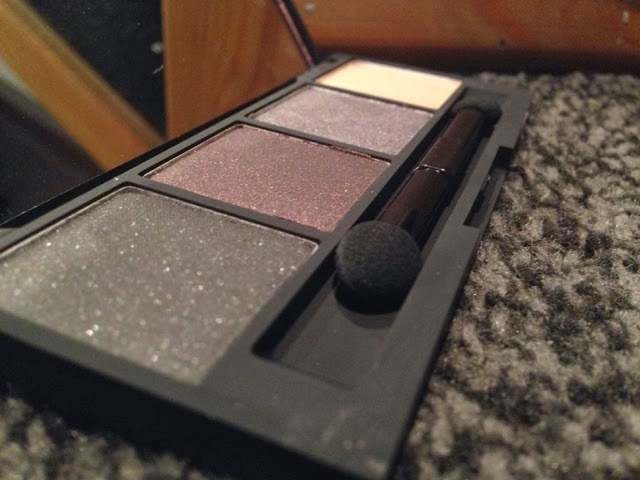 I'm no expert, but I think the palette comes with a good range of colours too, as it enables you to create various types of smokey eyes! 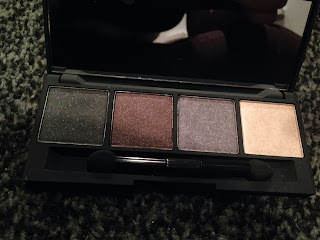 The Eyeliner/kohl it came with was also good, but in my honest opinion I've used better. It's more crayony that I would like it to be, it goes flat and crumbles giving an inconsistent line, which is not the look I was going for. I ended up redoing the whole look, still not gaining the courage to go all out, and make them really smokey and dark, only this time I did it without the eyeliner and this is how it turned out! It's not as 'smokey' as I would have liked it to be, but I am a terrified newbie, so I'm hoping it will all come with time! My eyebrows are awful, I forgot to do them before I took the photos, not that I really know how to do any of that either, I usually just wing it! And just ignore my skin, because that's awful too. Anyway, I would definitely recommend this little kit, as it's good for someone that really doesn't have a clue in what they're doing/as some good little pieces to carry around with you. Who knows, in a few months I might actually find the courage to use some more wild colours, haha! If you actually came here for some useful make up advice, then I am sorry because you aren't finding any of that here! But if you want to give me some, then feel free to throw it at me!